NDPE Month of Money Returns! Home > Articles > NDPE Month of Money Returns! 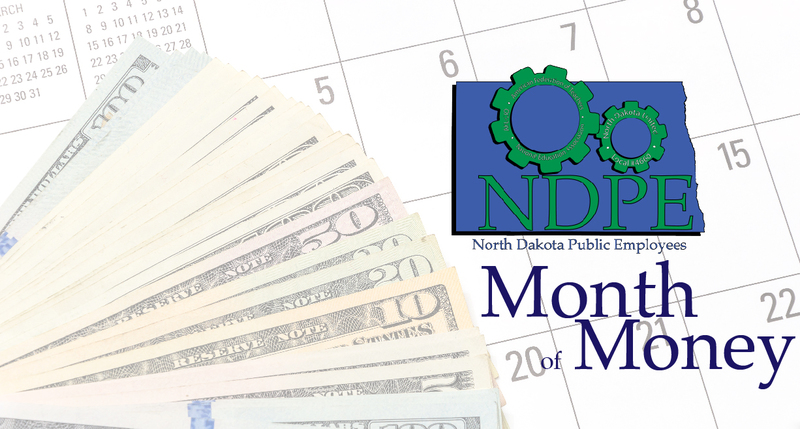 Every year in December, our statewide local of public employees and higher education faculty and staff, the North Dakota Public Employees, hold a fundraiser called Month of Money. NDPE leaders sell Month of Money tickets, and every day of the month, one winner is drawn from the group to receive $125. On Christmas Eve and New Year’s Eve, the daily winners will receive $500 as a holiday bonus. Each winning ticket is thrown back into the pile, so that every ticket has an equal chance of being drawn each day of the contest.